Two drivers, two photographers, and one race marshall have been hospitalized after a terrifying crash sent Sophia Flörsch flying, with her front wheels dangling off her car, up and over another driver, through the track’s crash fencing, and then into a photographer’s stand on the outside of the corner. 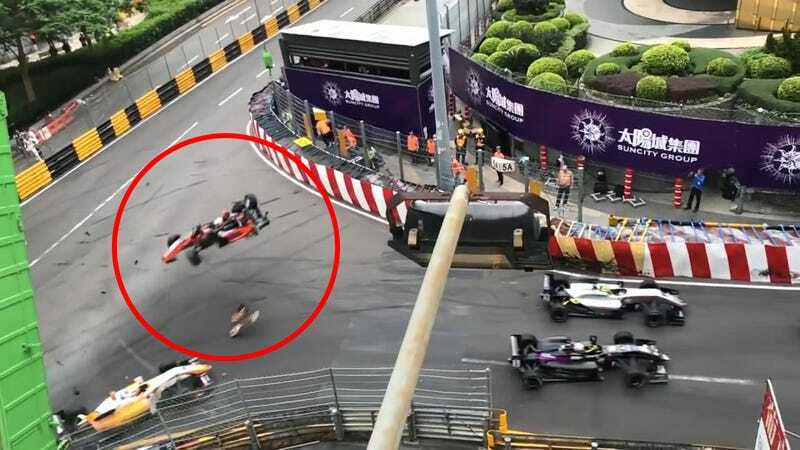 This is what can happen at Macau, the tightest street course in the world. The speed and severity of Flörsch’s crash is, I don’t want to keep saying terrifying, but it really is so much faster and more violent and more abrupt than wrecks you see at racetracks with plenty of safe run-off areas. 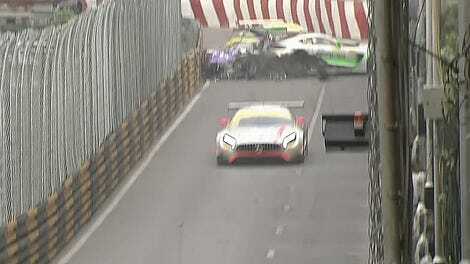 Flörsch hit fellow driver Sho Tsuboi at the tight Lisboa corner at yesterday’s Formula 3 race at the infamous Macau GP. Flörsch had already lost her front wheels in another incident up the straight, as Autosport reports. Both drivers were conscious, as the race organizers initially announced. The racing world learned in the 1960s and 1970s that as cars grow faster and faster, race tracks need more and more space between drivers and potentially deadly obstacles. But this wreck shows how much danger racers are still exposed to, and how hard it can be to protect them when space is limited. Do not forget that a motorcycle racer died at Macau just last year. We will update when we get more information on the condition of Flörsch, Tsuboi, the photographers, and the marshall.